For the last five years or so, horizontal wells drilled with large rigs and drilling pads has been the picture in most people’s minds when they think of the oil and gas industry. With the downturn in pricing many of these rigs have been stacked due to uneconomic plays. Conventional oil and gas and vertical wells have largely been considered low hanging fruit and a staple of many producers’ portfolios that can get ignored when pricing is favorable and other plays are hot. Some companies in light of today’s environment might give more light to their vertical drilling programs as the costs associated are far less than that of their horizontal counterparts and economics are still favorable. The areas that will be hit the worst in today’s pricing environment are those where the unconventional boom occurred that do not have large scale conventional formations to fall back on for vertical drilling and production. States such as Texas and Oklahoma have had a fairly consistent amount of vertical well starts while their horizontal counterparts have decreased. One region where unconventional formations are still hot, horizontal or vertical is the Permian. This is due to lower break even costs and a robust midstream system that has been in place for a long time. The Permian is not new to the E&P space, with many wells having produced for decades regardless of macro environment. An increase in the push for horizontal wells has been increased due to being one of the few economical plays left in the current environment. Using DrillingInfo Analytic platform well starts by well type was mapped. The overall profile is that well starts for both horizontal and vertical have decreased over time. In March 2014, when DrillingInfo historical rig data begins, vertical well starts accounted for approximately 55 percent of all well starts in the Permian. Today that figure is down to approximately 23 percent of all wells drilled while horizontal wells have gone from 38 percent to 68 percent of all wells drilled. The overarching question is how many of those wells that were drilled have actually been turned on and are producing. Using DrillingInfo’s analytics platform well starts over time, colored by current status for each trajectory, was mapped for the Permian. 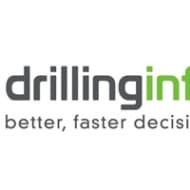 Of the reported vertical wells drilled inside DrillingInfo’s analytics database for the Permian 87 percent have been either brought online or had existing production while horizontal wells report 85 percent with new or existing production. The drop off towards the end of 2015 is due to no status production reports on wells as they may be too new to have any production registered with the state. Driving through the fields of the Permian, SCOOP, and Utica over the past few months there are signs that the industry is still alive. 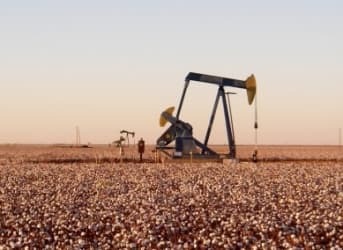 With overall rig counts in the Permian alone at 152 active, which represents a downturn of nearly 50 percent over the last 12 months, there is reason to be doubtful. However, we are able to see a shift in priorities in E&P’s to assets that they consider most economic. The Permian, while showing signs of a slowdown, is still growing overall with 63 horizontal and 20 vertical wells having a reported rig on site in March 2016 There is a backlog of DUCs but as the low price environment continues and completion costs come down we will see those wells begin to come online. Since many of those wells are economic currently, waiting for completion costs to lower will only raise their value to many E&Ps. The strategy might be risky as operators risk mineral owner issues if they do not produce the wells in a fair amount of time as we have seen in the Bakken and completion costs might not lower. The offset is that operators are allowing for pricing to hopefully rebound and are not having any real loss other than drilling costs. With a large backlog and slow decrease in status of these DUC’s, new well starts will continue to suffer as those older wells have to be brought online which will only continue to stifle some parts of the industry that are reliant on new well starts.